Close-up of cotton sprouts under a protective cover aboard a Chinese moon lander. Credit: CLEP. At the dawn of the new year, China landed the Chang’e 4 probe on the far side of the moon– also known as the dark side of the moon. Among its various scientific missions, Chang’e 4 was tasked with growing cotton, potato, yeast, and fruit flies. Now, state media channels announced that the first cotton seeds have sprouted. This the first time that a plant has started growing on the moon, opening up new and exciting possibilities. Previously, plants had only been grown in microgravity aboard the International Space Station. The plants were not grown in lunar soil but rather in contained, self-sustaining mini-biospheres. Each type of plant or organism arrived on the moon inside its own container, where monitoring sensors control water, temperature, pressure, humidity, nutrients, and ensure a microclimate similar to conditions found on Earth. The biggest challenge is controlling temperature, which on the lunar surface can fluctuate between -173°C and 100°C. Case in point, the cotton sprout died after nine days of growth during a freezing night on Sunday, when temperatures dropped to -150°C, overwhelming the heaters. Theoretically, the only thing that should be different in super controlled environment is gravity — which on the moon is 16.6% that on Earth’s surface. “Chang’e-4 is humanity’s first probe to land on and explore the far side of the moon,” said the mission’s chief commander He Rongwei of CASTC. “This mission is also the most meaningful deep space exploration research project in the world in 2018,” He said, according to state-run Global Times. The whole experiment is contained within a canister measuring just 18cm in height and weighing 3kg. Back on Earth, Chinese scientists have set up an identical control experiment, which is reportedly growing plants a lot faster than on the moon. Some have expressed concerns that the Chinese experiment risks biologically contaminating the moon. That may well be the case but there are have been numerous missions which performed controlled or crashed landing on the moon already since the 1960s, and they also carried possible contaminants. The fact that plants seem to sprout normally on the moon is very good news for human space exploration efforts. 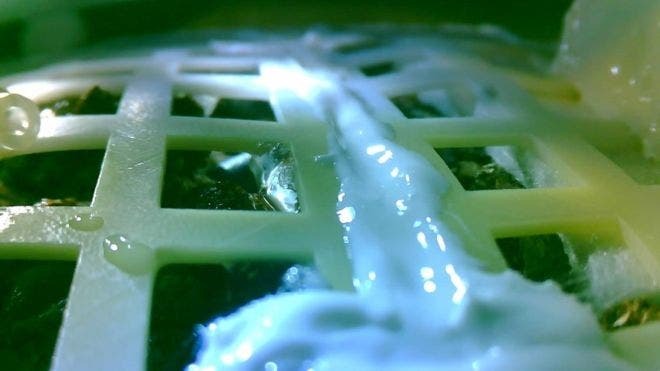 The findings suggest that astronauts could grow their own food on the moon in controlled environments, thereby freeing up precious cargo space for supply missions from Earth. This is even more important when you picture the grander scheme of things, with the moon positioned as a staging post on our way to Mars. Previously, researchers found ice on the lunar surface which can be used to supply an outpost with water or fuel.